The beautiful Kovalam beach at Thiruvananthapuram, is all set to host a barrier-free kite festival which is touted to be the biggest of its kind that India has ever witnessed. The event is being held for a social cause, which makes it all the more special. Thiruvananthapuram’s very own Kovalam beach, is undoubtedly one of the most popular beaches in across all of India. Very few seaside spots in the country attract as much tourists across a season, as Kovalam does. 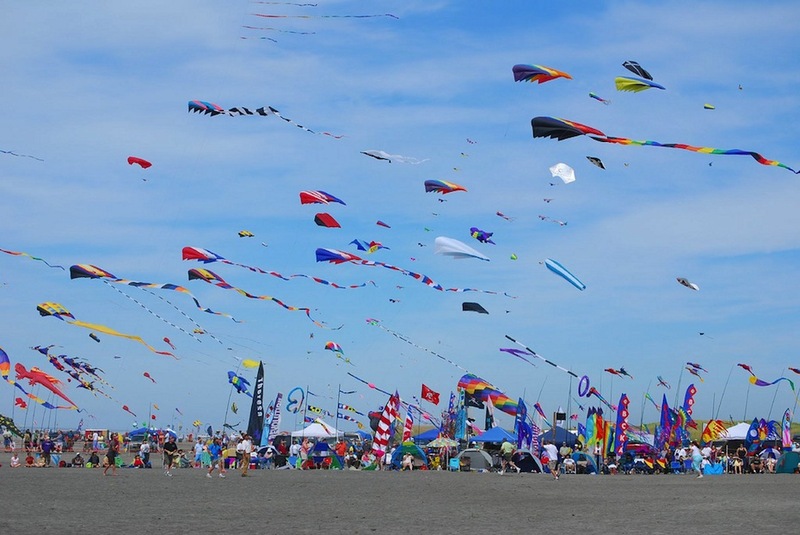 And now, the beach is all set to host yet another unique event next month – a barrier-free kite festival. Touted to be the biggest of its kind that India has ever witnessed, the two-day event will take place on 27th and 28th April 2019, and aims to bring down any imaginary walls that may exist between society in general and differently-abled individuals. Helping Hands Organization (H2O) – an NGO based in Thiruvananthapuram – is the community behind the kite festival. They held a smaller, yet successful kite festival at the same venue for the same reason last year, and the overwhelming response from the previous time has spurred them on to hold it in a grander scale this time around. According to Jolly Johnson the founder of H20, the festival is primarily a fund-raising event that also promotes the importance of barrier free places for children with disabilities. Johnson opined that while there are many kite festivals in the world, few of them were open to children with disabilities. Johnson said, “Children with autism or ADHD tend to get anxious or irritated when there is a lot of crowd. They can calm down and relax in this space. The aim is to make it disabled friendly in all ways”. “The whole concept of this event is to break barriers and make sure that disabled kids also get a chance to explore and have fun. Last year, there were more than 300 people who participated for the event. This year we expect a bigger turnout”, she further explained. During the event, the organizers intend to hand children a kite-kit each so that they can make their own kites. Care will be taken that all kites are made out of eco-friendly resources so as not to affect the surroundings adversely. As always, given the center of activity that Kovalam is all-year round, there will be a host of other engagements happening around the kite festival too, and visitors will not be disappointed in any manner. If you are in or around Thiruvananthapuram during the last week of April, the barrier-free kite festival at Kovalam should hence be a definite place for you to turn up and have some fun. This is, for sure a wonderful opportunity to not just let yourselves free, but also to interact with others and remind yourself that you are a part of a wonderful community.